It cannot read or modify existing Excel XLSX files. Pretty much, it creates xlsx files every time you need them. 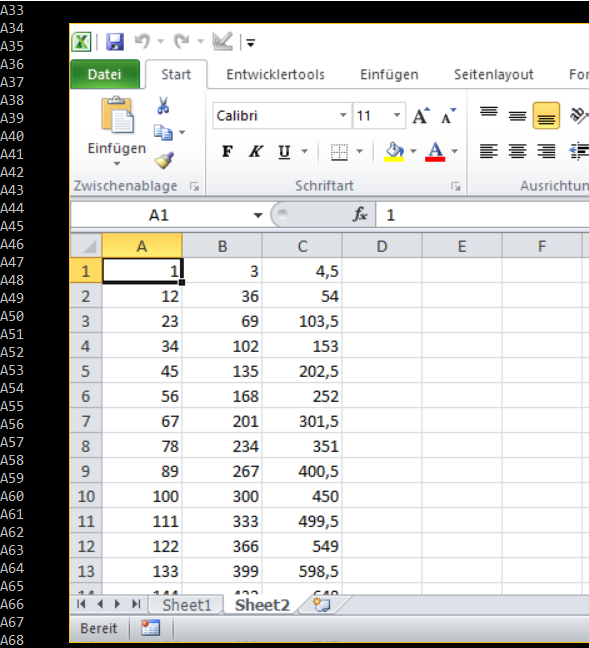 You do not need to have Excel installed, which is quite ok, if you are a Linux user 🙂 Writing to an Excel spreadsheet is a piece of cake, if you are coming from the VBA world. The structure is the same – Workbook contains Worksheets. Worksheet contain ranges and cells. Ranges contain cells. Pretty much this is it. If you want to install the library, simply write pip install XlsxWriter in the command prompt/terminal. cella = xl_rowcol_to_cell(i, 0)	#0,0 is A1!